With the National Park Service’s 100-year anniversary coming up in 2016, the Service has raised over $26 million for improvements to national parks as part of the Centennial Challenge Project. This project is designed to restore and improve a wide range of problem areas in national parks across the country, and Glacier National Park will be receiving plenty of funding to make the park as impressive as possible. 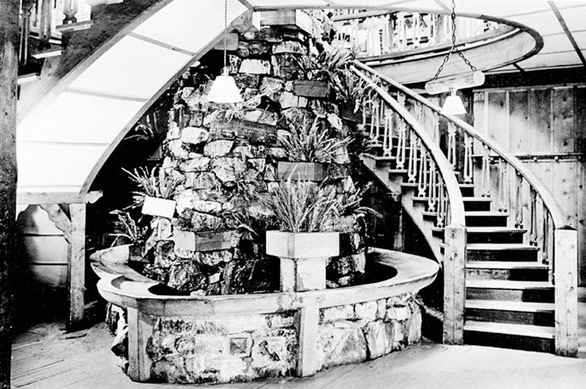 For reasons unknown, Many Glacier’s magnificent staircase was torn down in the 1950s to make room for a gift shop, which still occupies this space in the hotel. While souvenirs are nice, they don’t exactly hold the same historic value as the staircase for which Many Glacier Hotel was known for when it was constructed in 1910. 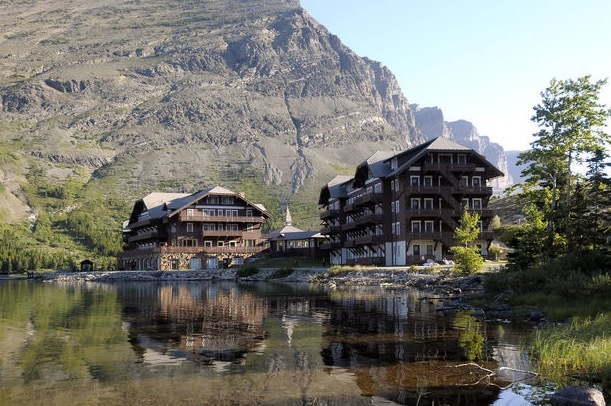 Many Glacier Hotel accommodates approximately 35,000 guests each summer, and is a favorite location of tourists, due to its majestic presence on the shores of Swiftcurrent Lake. The hotel is one of the park’s most sacred treasures, and has received plenty of renovations over the years to keep it up and running. For the project, Glacier National Park has received $243,000 – The result of a $121,650 donation from the Dorcy Estate and a matching grant from the National Park Foundation. While this will not be the only improvement to Glacier in the coming year – there are already plans underway to rehabilitate the first mile of the Highline Trail near Logan Pass – it is the development that is sparking the most excitement. Both of these projects have already been approved by the National Park Service, and logistical preparations are underway. 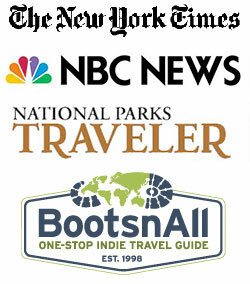 Glacier National Park has also submitted three other proposals, but it remains to be seen whether these proposals are accepted. With the large amount of funds at the National Park Service’s disposal for these improvements, it seems likely that Glacier will be able to benefit in a few more ways; after all, parks like Yosemite and Yellowstone have already been granted in excess of $2 million each. The park will also look to private donors to raise more funds for future projects as well. It remains to be seen exactly what other improvements will come to our beloved park in Montana, but for now, we can all rejoice at the fact that Glacier’s most famous hotel will be reunited with its most famous feature. More details on the specifics of the project should become available in the coming weeks, such as whether the staircase will feature a fountain like it did at the hotel’s inception. Stay tuned.